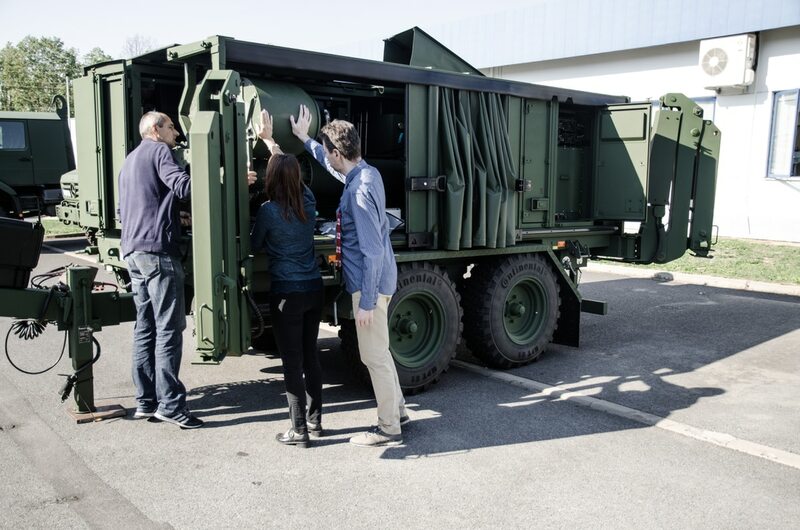 During a recent visit to the company’s new Pardubice headquarters, officials told C4ISRNET that there is now such significant demand for its fifth-generation passive sensor – known as VERA-NG – that the company can produce the technology without specific orders in place. The technology is so sensitive that the sensors – usually three remote stations and a central processing station – can detect, and pinpoint, signals to 400 kilometers and possibly beyond. These signals can be anything from radars, data links, as well as identification friend or foe (IFF) transponders – meaning even stealth aircraft are visible. As part of its passive sensor roadmap, Era has unveiled a new Multistatic Primary Tracking Radar – known as SICORRA (Silent Correlation Radar) – that receives ambient signals that bounce off an aircraft but, again, does not emit itself. The signals received do not have to be from the aircraft, like VERA, but can be reflected FM signals from sources such as cellphone or television towers.